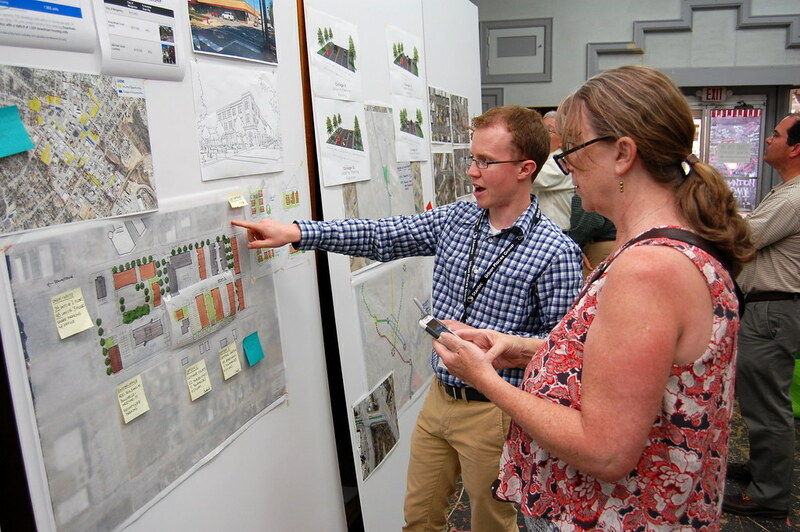 The City of Morganton kicked off a new Downtown Master Plan process in March 2017 led by the firm Stantec. 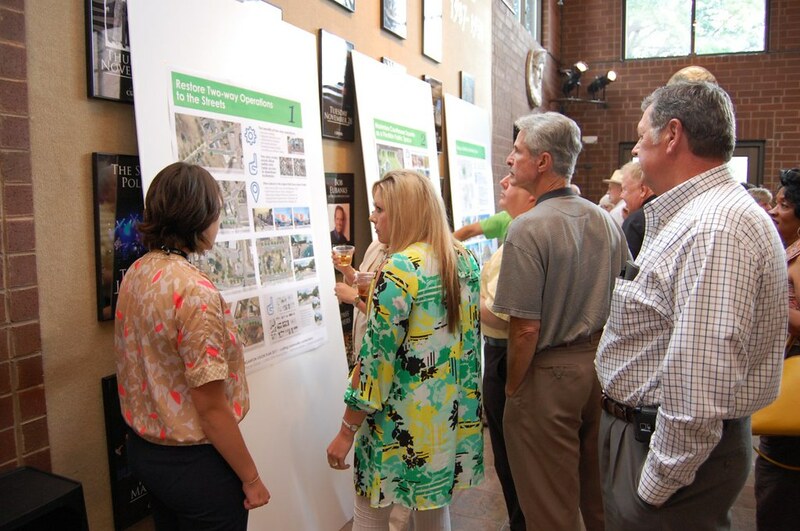 During the process, Stantec held many public input meetings and gatherings for Morgantonians to voice their opinions and desires for the future of downtown. 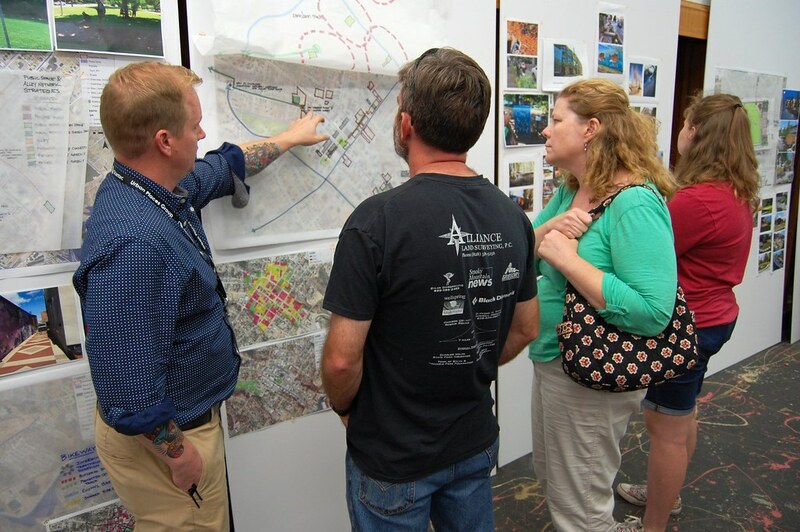 This page details the process and citizen input that developed the new Master Plan for 2018. Fonta Flora and Catawba Brewing Co.
Katz Building, 116 W. Union St.
6:00-7:30 pm, Historic Burke County Courthouse, 101 S. Sterling St.
Catawba Brewing Company, 212 S. Green St.
CoMMA, 401 S College St. 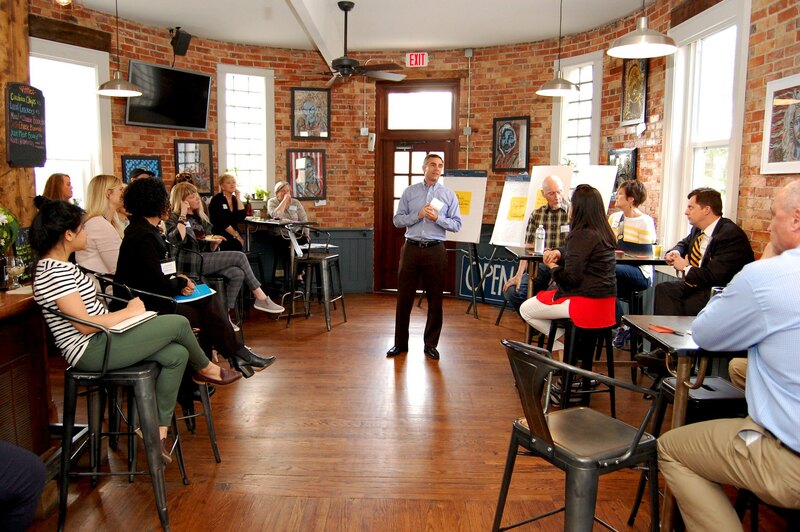 The Downtown Master Plan Steering Committee held a kick off meeting Monday night, March 27, 2017, at Fonta Flora in Downtown Morganton. Craig Lewis, Stantec, leads the Steering Committee Meeting Kick Off Monday night, March 27, 2017, at Fonta Flora. Craig Lewis, Stantec, talks to Steering Committee members during the Steering Committee Meeting Kick Off Monday night, March 27, 2017, at Fonta Flora. Amanda Morell, Stantec, places suggestions on an idea board during the Steering Committee Kick Off meeting Monday night, March 27, 2017, at Fonta Flora. The Downtown Master Plan team held a public event Tuesday night, March 28, 2017, at Brown Mountain Bottleworks called Morganton On Tap. 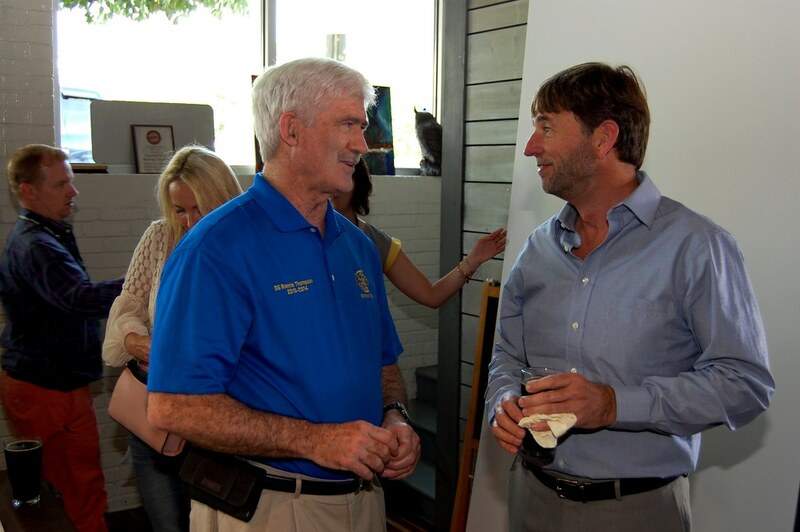 The event was to discuss the Downtown Master Plan process and get public input. Amanda Morell, Stantec, talks to the crowd gathered for Morganton On Tap held at Brown Mountain Bottleworks Tuesday night, March 28, 2017. 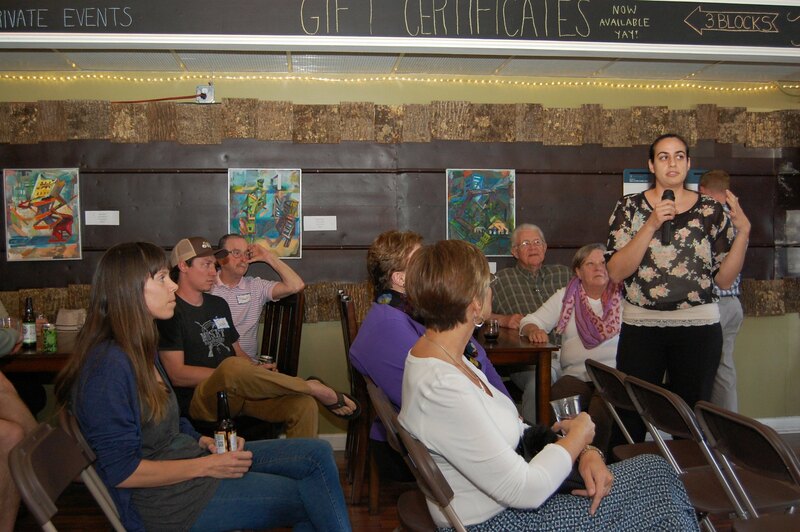 Aimee Perez, owner of Root&Vine in downtown shared her opinions as a citizen and business owner during Morganton On Tap held at Brown Mountain Bottleworks Tuesday night, March 28, 2017. A Stantec staffer takes notes during Morganton On Tap held at Brown Mountain Bottleworks Tuesday night, March 28, 2017. 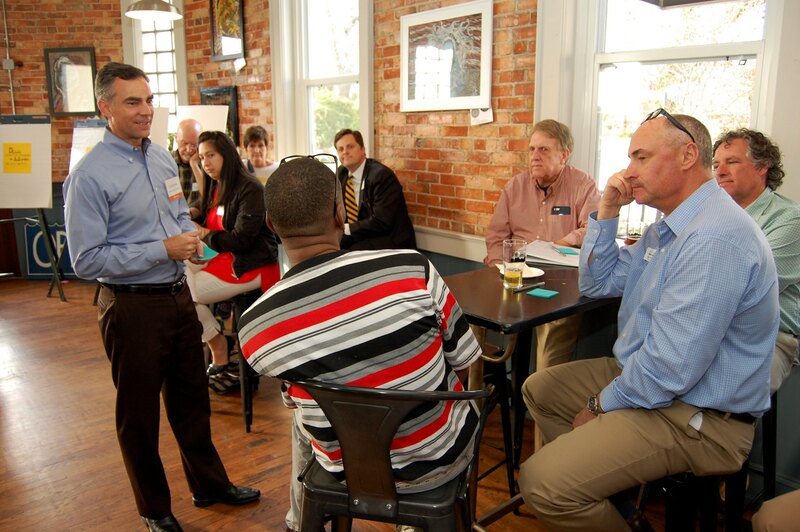 The Downtown Master Plan Charrette Kicked Off last night, Monday, May 15, 2017, at the Historic Burke County Courthouse. About 70 people attended and gave their input. 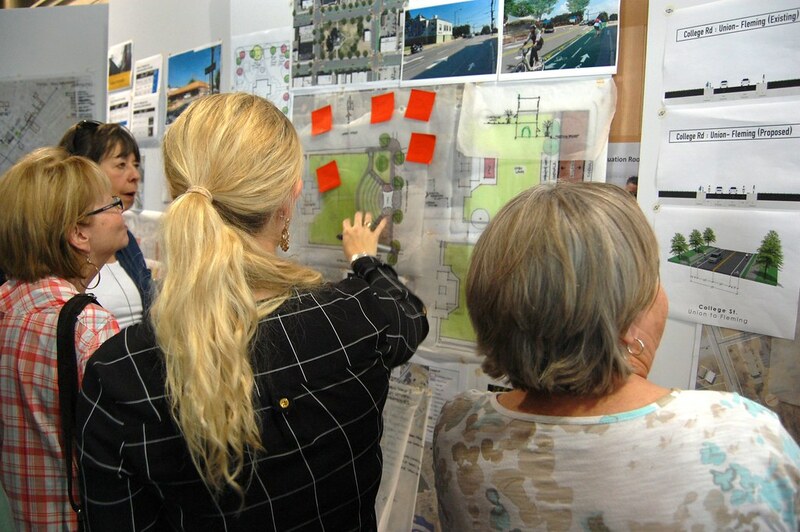 The Charrette continues today through Friday. Stop by the Katz Building, at 116 W. Union St., to participate in more discussions. 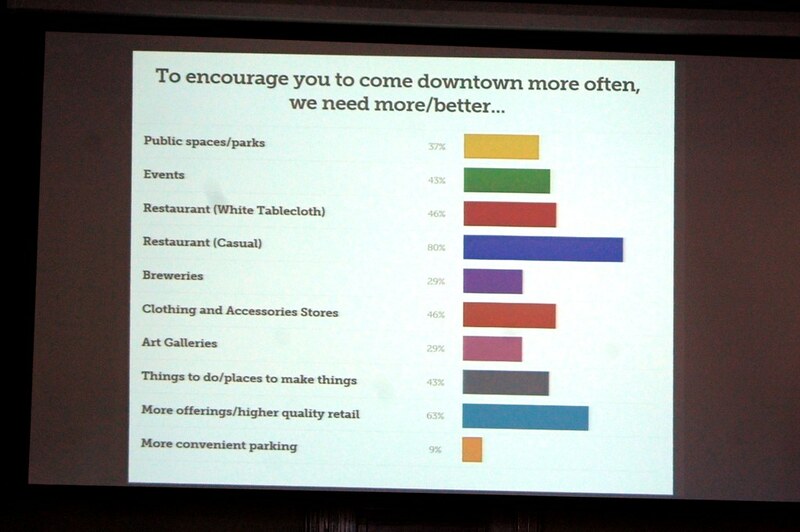 More info at http://bit.ly/DowntownMasterPlan17. 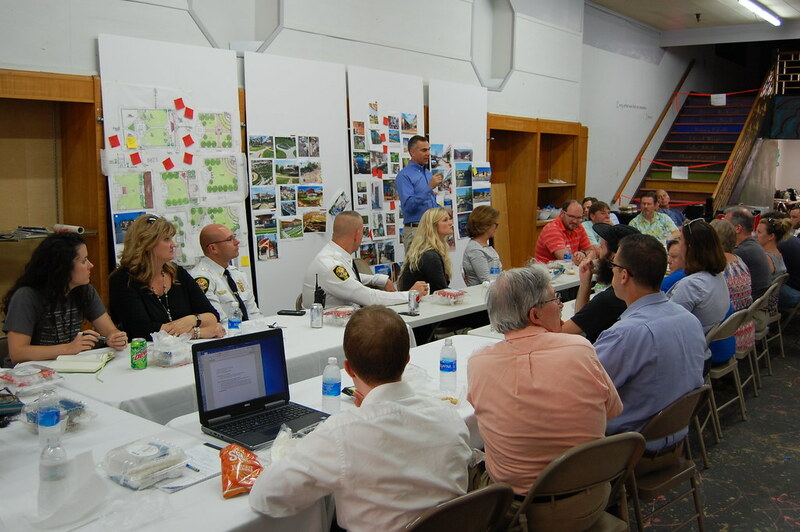 More Charrette Week Kick Off Photos . 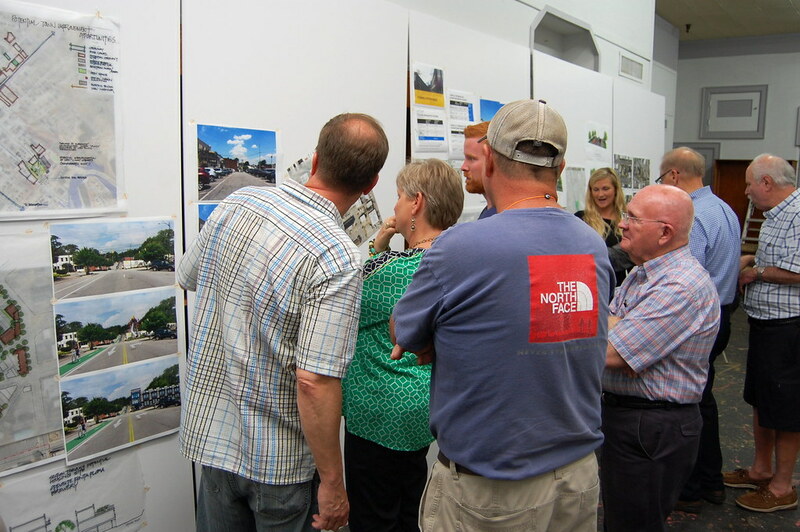 Lots of people dropped by the Katz building yesterday, Tuesday, May 16, 2017, to give their input on the Downtown Morganton Master Plan. 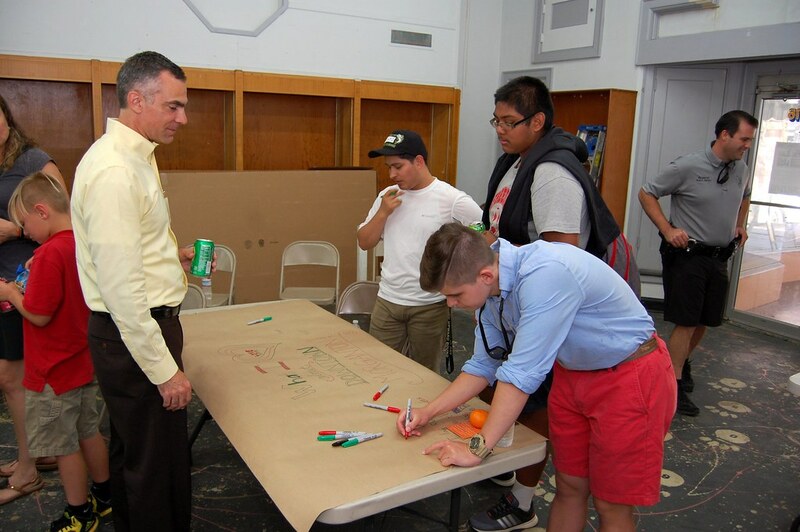 Stantec, the consultants, held several round-table discussions on issues such as the Broughton project, converting the one-way streets in downtown back to two-way, public art, and youth engagement. Tuesday night, from 5:30 to 7:30 pm, Stantec staff displayed the work and drawings completed that day. 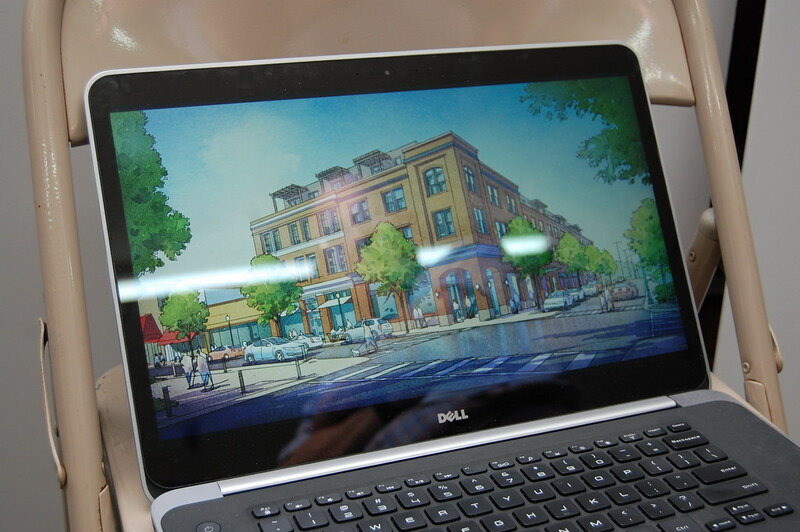 One popular set of drawings were ideas on how to rejuvenate the Historic Courthouse Square into a more user-friendly space. “In our mind, the courthouse square is the most underutilized public space you have,” said Craig Lewis, Stantec. The Stantec staff worked hard Thursday, May 18, 2017, to prepare for another pin-up of ideas at the Katz building in downtown Morganton. 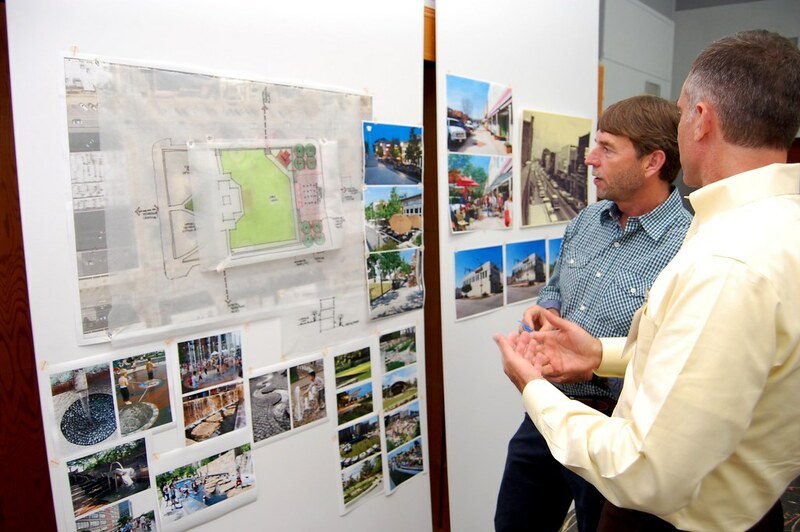 A Stantec staffer discusses ideas with a visitor. Visitors and Stantec staff look over idea boards. One idea for the old Kimbrell's building in downtown is to turn the building into mixed use with commercial on the first level and residential on the second and third floor. 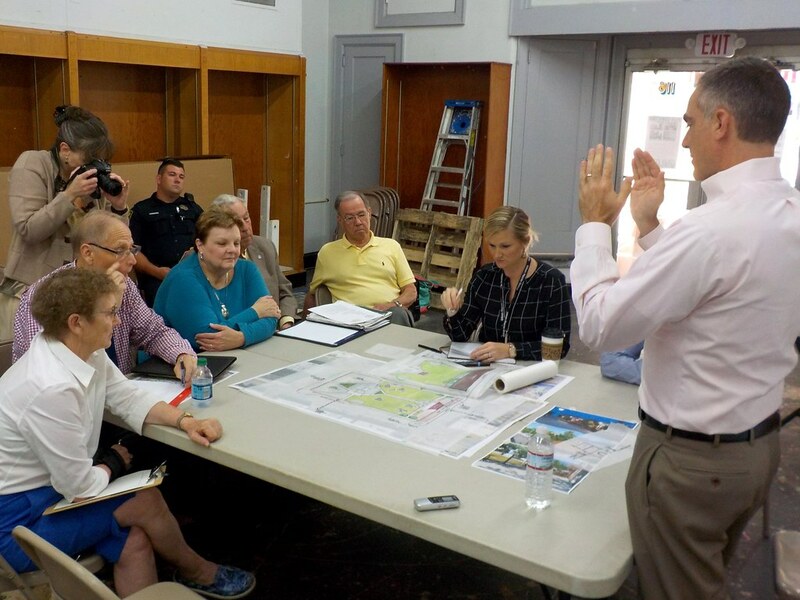 The Downtown Master Plan Charrette ended Friday, May 19, 2017, with a Steering Committee Meeting. Stantec, the consultants, reviewed a lot of the work completed that week and asked for final input from the Steering Committee before head back to their offices to write and draw up the final plan. The plan will be presented June 7 , 2017. Craig Lewis, Stantec, reviews the weeks ideas with the Steering Committee. 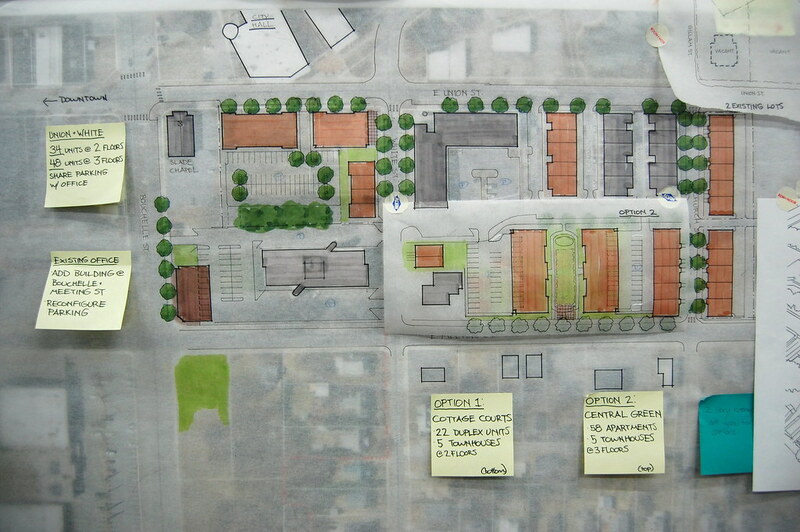 Housing ideas for two blocks on E. Union and Bouchelle Street and E. Union and White Street. 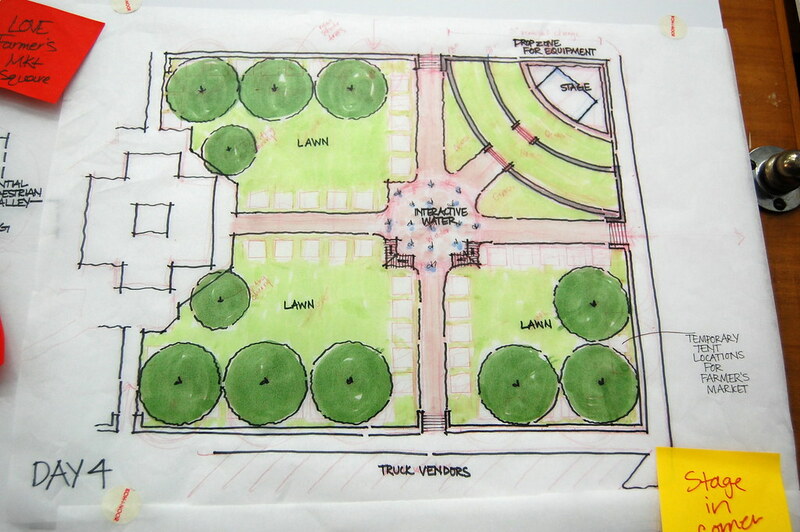 Stantec staffers came up with a lot of great ideas to rejuvenate the Historic Courthouse Lawn. 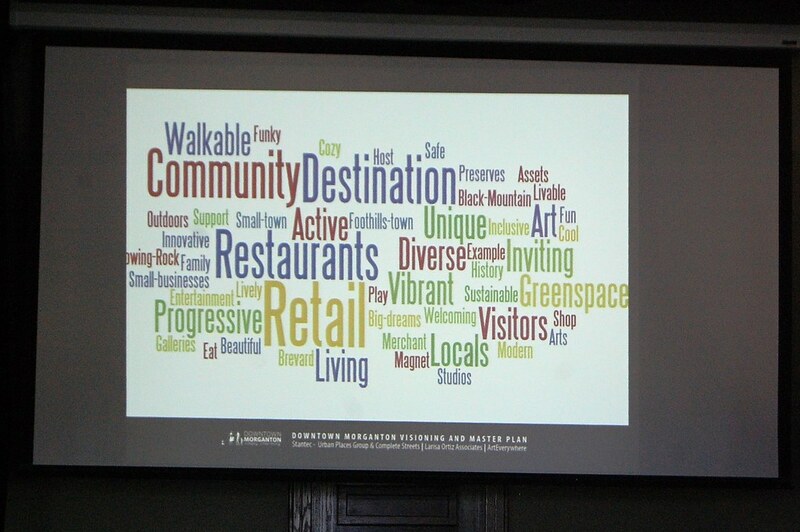 Stantec unveiled the Downtown Master Plan Draft Wednesday June 7, 2017, at CoMMA. 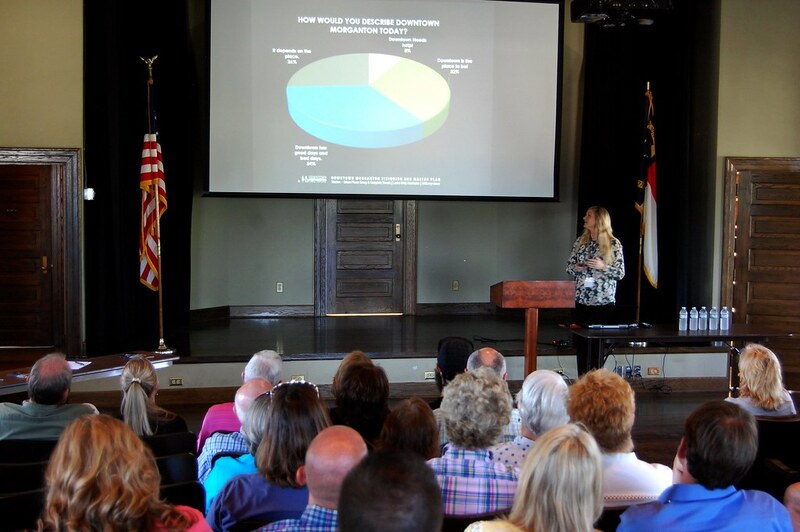 More than 500 people attended to hear the plan and provide input on their favorites of the proposed projects. 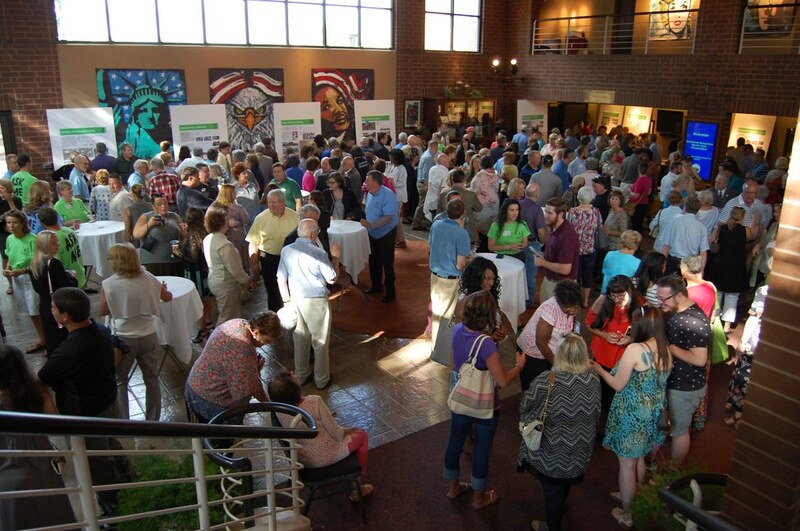 More than 500 people attended the Downtown Master Plan Draft Presentation. 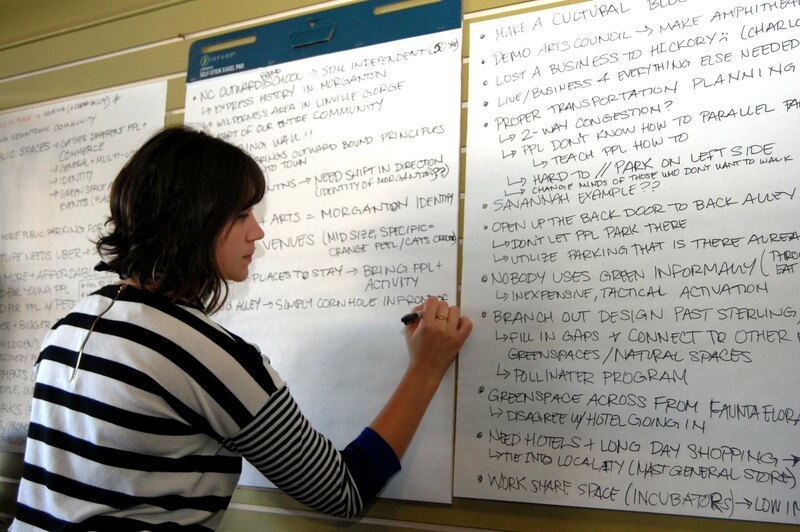 Attendees review some ideas included in the seven key concepts of the plan. 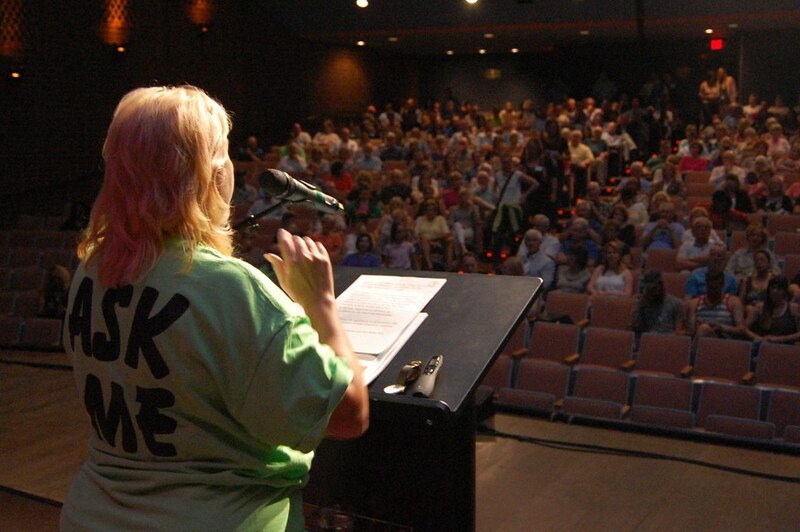 Main Street Director Sharon Jablonski talks to the audience in the CoMMA auditorium.